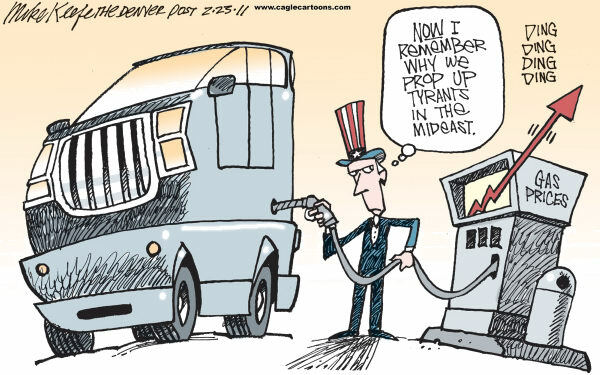 And now… Fears of a civil war in Libya which could choke global oil supplies and drive up gas prices… oil now over $97 per barrel… Gas prices hit $4 in CA… $5 per gallon coming soon? How to play oil? Any of the oil majors give you exposure: COP, XOM, CVX among others. 1) Entitlement-crazed protests in Wisconsin continue… “It’s about rights, not about money” Hmmm? 2) POUND REBOUND: 3 of 9 members have voted in favor of a rate hike by the Bank of England.